Move & Play Through Winter, Eh? 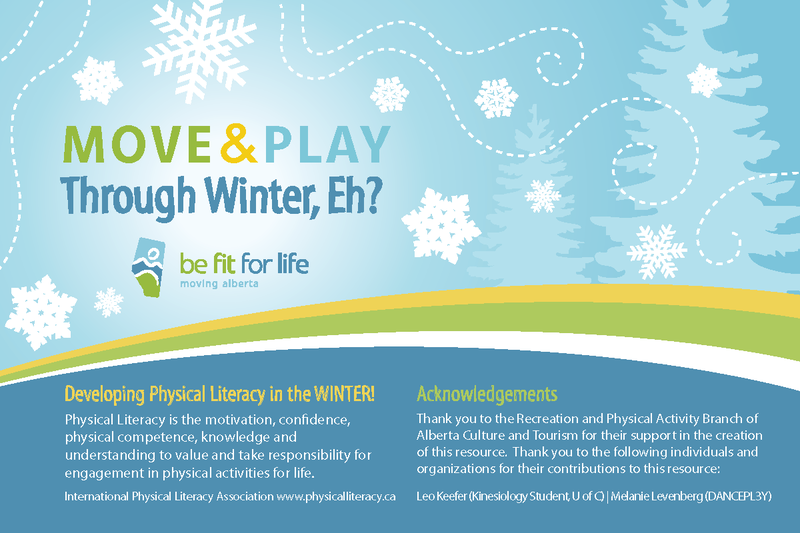 – Get active outdoors this winter! Over the past few years, there has been emerging research indicating that the use of painted lines on playground tarmac surfaces, can be an effective and low cost means to help increase moderate to vigorous physical activity levels in children. 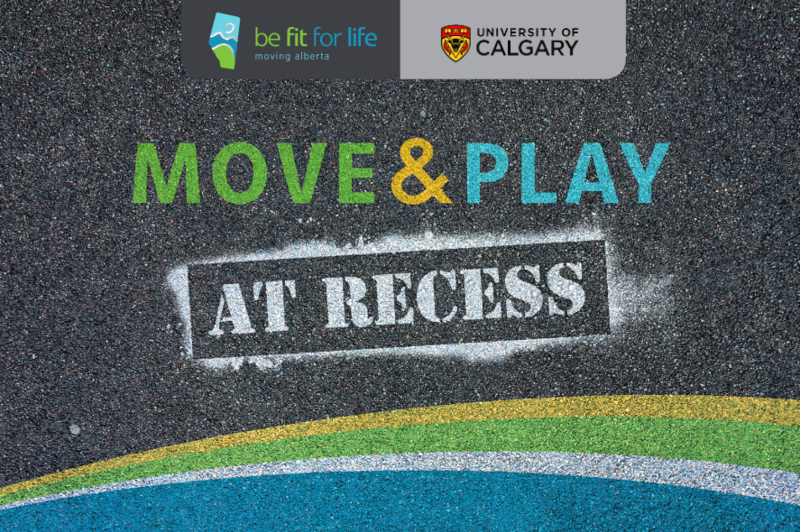 As part of the 50th anniversary celebration of the University of Calgary, the Faculty of Kinesiology gave the “Gift of Play” to 50 schools in the Calgary area that are in need of a playground pick-me-up. 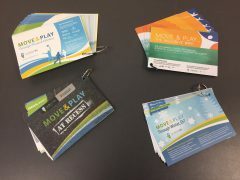 As a legacy to this project, we have distributed stencil kits (paint can be purchased separately) from this project to each of the Be Fit For Life Centre’s across Alberta. Please contact contact your local Be Fit For Life Centre if you would like to borrow a stencil kit to enhance your outdoor play environment. 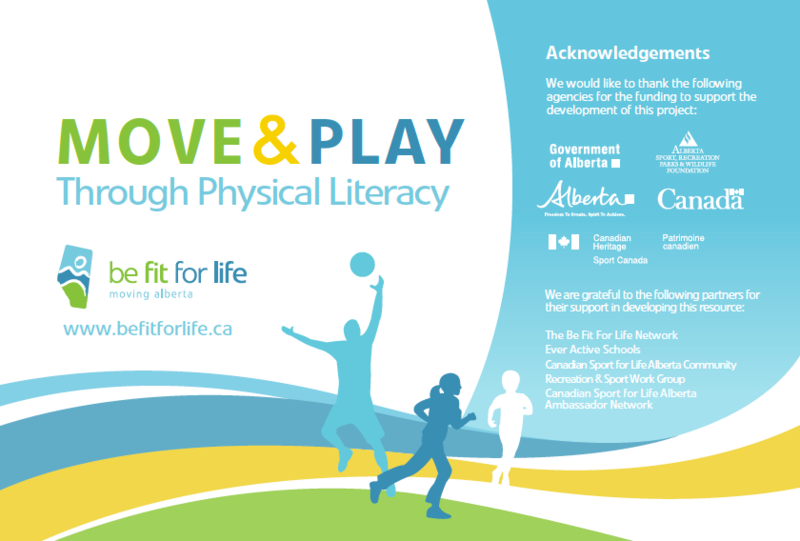 This resource can be used to supplement activities in the classroom, quality physical education, and in conjunction with games enjoyed during free play. Playground stencils can be replicated with sidewalk chalk or tape. 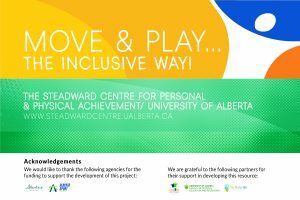 The Steadward Centre for Personal & Physical Achievement at the University of Alberta has collaborated with the Be Fit For Life Centres to create “Move and Play… the Inclusive Way” resource cards. Based on the popular Move and Play cards, this inclusive expansion pack provides tips, tricks, tools and theories to turn any game or activity into something that can enhance the physical confidence and competence of any child, regardless of ability. The cards cover important topics such as strategies to adapt games, suggestions on how to modify games already included in the original Move and Play deck, critical reflection questions, do’s and don’ts of language, guided discovery questions and much more!